Dak Nong (VNA) – More than 30,200 poor ethnic minority students in the Central Highland province of Dak Nong have been given free textbooks for the 2017-2018 school year. 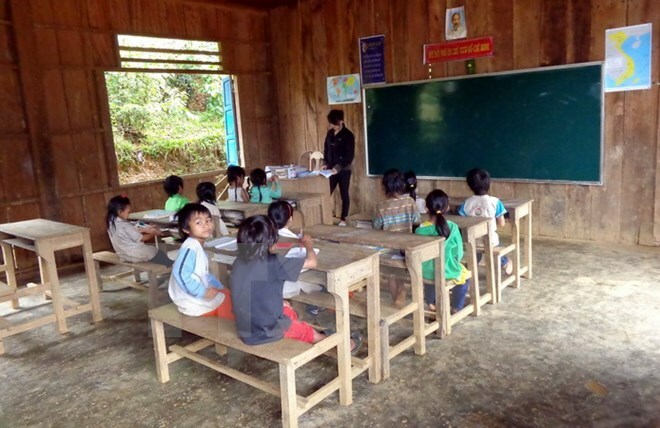 The provincial School Equipment & Book Co. Ltd coordinated with the Departments of Education and Training and school administrations carried out the programme with a total cost of about 14.4 billion VND (633,600 USD) sourced from the local budget. Director of the company Ngo Xuan Ha said the programme is to implement a resolution issued by the provincial People’s Council on supporting ethnic minority students from poor and near-poor households from the 2016-2017 to 2020-2021 school years. Dak Nong is now home to 40 ethnic groups.